We will be open on Friday Afternoons for the 2018 Season! Come on out to enjoy an afternoon searching for treasure chests in our Blackbeard – the Pirate Maze for Fun Fridays! From September 28 to October 26 the maze will be open from 12:00 noon to 5:00 pm at a special admission rate. 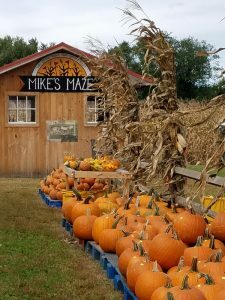 Adventurers setting sail for Mike’s Maze this fall will enjoy games for young lads and lasses and old sea dogs alike. Treasure hunters will scour the maze for hidden chests of gold, solving riddles contained within, while aspiring buccaneers can test their sea-smarts to see if they have what it takes to be part of Cap’n Mike’s crew. Correctly solve the riddles and you could win a prize pumpkin! The Pasture Play area is included in admission. Visitors can round out their maze adventure with a raucous romp on our Jump Pad and a plunge down the giant Whirlpool Slides. There is even a beach sand pit with tire climbs and toys for those who prefer to keep their feet on the ground. The Corn Cafe will be open for a special limited menu, including cider donuts! 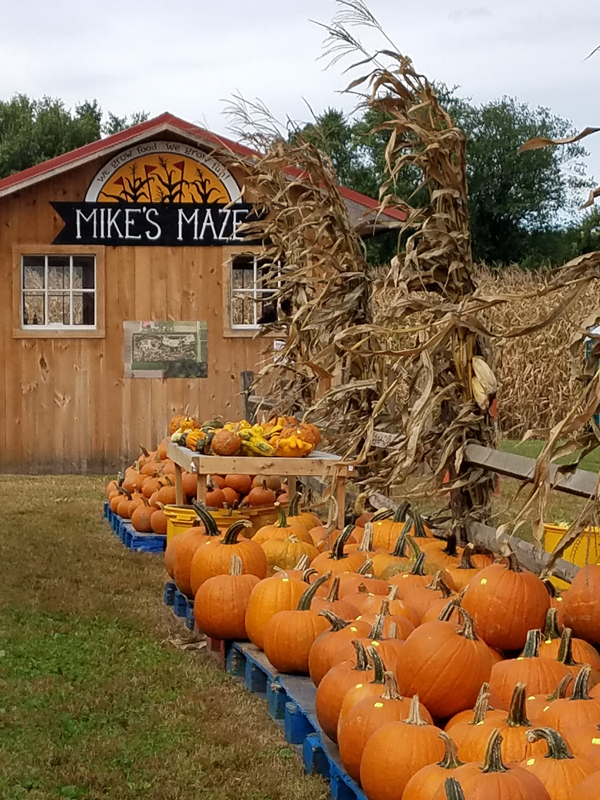 Mike’s Maze T-shirts, pumpkins and other fall decorations will also be available for purchase.